Protect your beloved patio with a patio cover designed to keep your family cool, combat UV damage and add a layer of sophistication to your home’s exterior. Sydneysiders love spending time in the outdoors, entertaining and hosting barbecues, regardless of the weather. Installing a patio cover allows you to extend the living space of your home, creating an extra room that still has the outdoor feel we love. 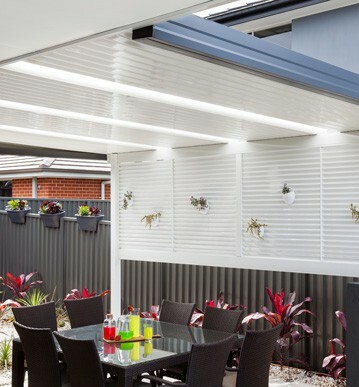 For patio awnings in Sydney, speak to Patioland. We have options to suit all space restrictions and budgets. View our gallery for inspiration today. An outdoor covered patio will stay cool and comfortable all year ‘round. Patio covers protect your furniture and your skin from harsh UV rays while making your patio more accessible throughout the year. Speak to Patioland about your needs and we can offer you a no-obligation quote. Improve your backyard with a covered patio so you can really make the most of summer. Call 02 9831 3899 or contact us online for more information on our products.